Bristol’s Phantom Limb will release their new single, the stirring ‘Gravy Train’, on March 12th, via Naim Edge Records. Having just released their sophomore album ‘The Pines’ the band are also currently on a nationwide UK tour. ‘Gravy Train’ is taken from The Pines, which was in part conceived on the road, then in rural France, before being produced by Marc Ford (The Black Crowes) in Signal Hill; the oil capital of California. All proved to be conducive settings for an album largely written about escape. 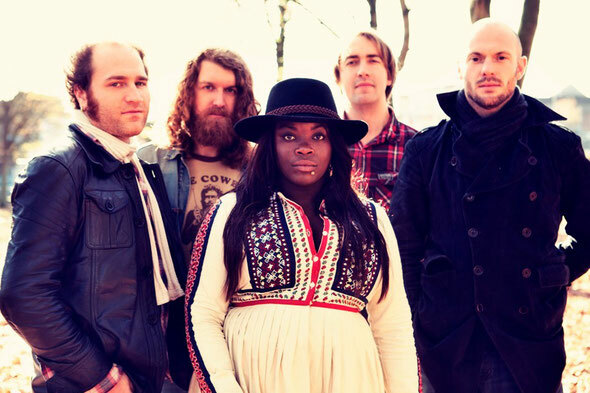 The resigned, working-for-the-man sigh of the new single ‘Gravy Train’ – held together by the powerful, tender vocals of lead singer Yolanda Quartey - capturing the overriding sense that the band have spent all day making ends meet, but will sing songs they love long into the night. Phantom Limb are an unusual musical prospect, drawing together a range of different sounds and experiences. By day, various members of the group have earned their crust as session musicians, vocalists and songwriters, skirting round the edges of the industry. A glance at their collective musical CV would list collaborations with everyone from Pee Wee Ellis and Percy Sledge to Tom Jones. Quartey, who has sung lead spots with Nitin Sawhney and Chase & Status, spent the summer of 2008 touring with Massive Attack, writing for Will Young and performed backing vocals for Adele and Dizzee Rascal. 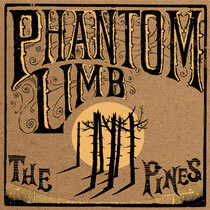 Having met by chance amidst these workmanlike sessions, Phantom Limb released their self-titled debut album in 2008. Yet it is with their second offering – ‘The Pines’ - that you sense they’re possibly stepping out to the front of the stage. Musically, the songs stand at the crossroads between Country and classic R&B, which – from Ray Charles’ country albums to The Staple Singers fronting The Band – still feels relatively unexplored. Yet as Yolanda succinctly puts it: “Country and gospel are the same, just with different race singers.” The skill of Phantom Limb lies in their ability to assimilate these seemingly disparate influences in a manner that feels effortless and idiosyncratic.